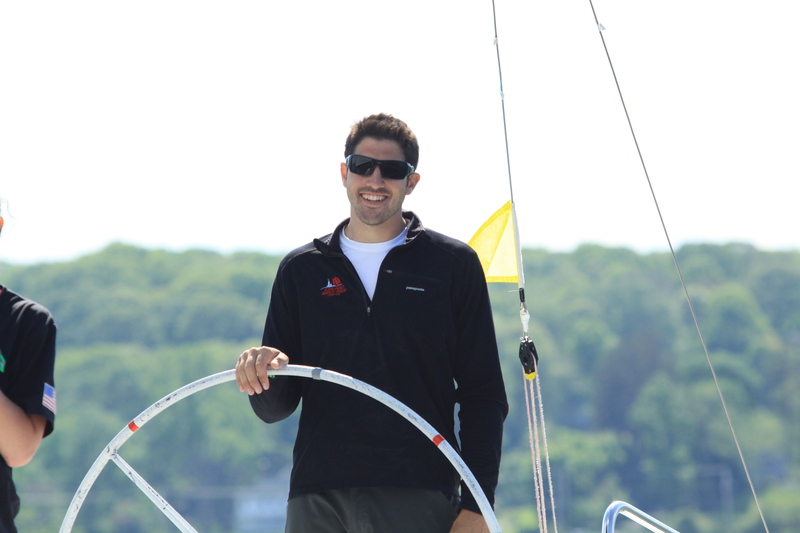 May 17 2014 – Oyster Bay NY – The sun puddled at Chris Poole’s feet today as he sailed undefeated in a beautiful but shifty Grade 3 Spring Clineregatta at Oakcliff Sailing. The event features eight teams from the US and Canada, and will continue tomorrow in Oakcliff’s Match 40’s, the largest keelboats used for match race sailing in the US. 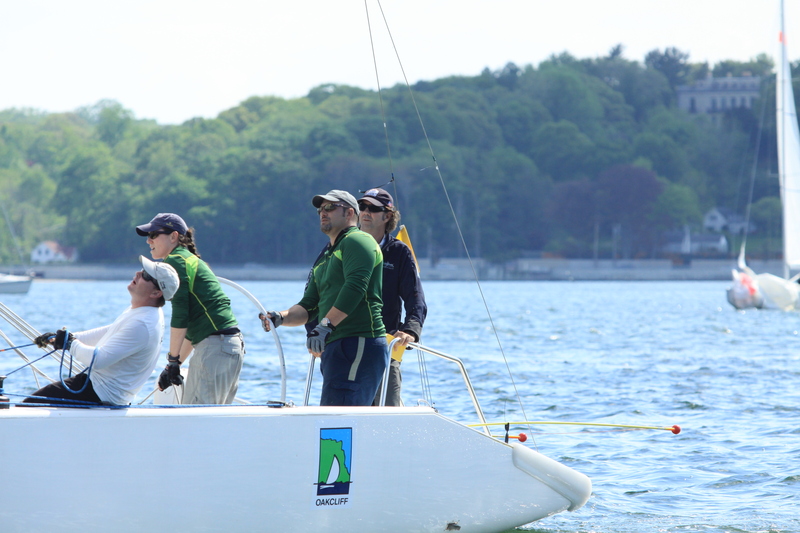 Another unique feature at Oakcliff is the integration of coaching with the competition, and as any sailor knows, perfection on the water is virtually unattainable but keeping calm and finding incremental improvements is the key to success. In the journey towards perfection, the 8 teams competing today had the incredible experience of having US Olympic and America’s Cup match race coach Dave Perry onboard for one race. After each team’s turn with Dave they got an immediate and individualized debrief from the master. Oakcliff’s fleet of Match 40’s are uniquely equipped for onboard coaching with a purpose-built ‘observers spot’ on the stern of each boat. In addition to his on-water observations, Dave has also led in-depth classroom sessions for the past two days. But today’s coaching really resonated with all of the sailors. David Edward’s Heron Financial Group is sponsoring the T2P.tv coverage of the event, as well as a raffle for a case of Veuve Cliquot Champagne. Edwards is also racing, doing the bow for Bill Gladstone’s team, where today he came close to joining the swim team. In one maneuver, Edwards fell off the boat but still managed to hold on to the spinnaker guy and so was never completely separated from the boat. A complete Round Robin was completed and one round of the Quarter-Finals. Teams: Niemann, Hammond and Quaglio have one win in the 1st to reach 2 quarterfinals. Racing will continue Sunday at 10:00.